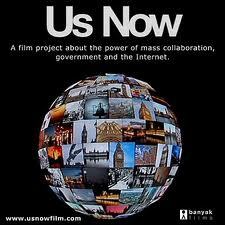 “Us Now” is a provocative, but bit breathy, film on the connection between technology and community, and glosses lightly over some of the challenges of building community over the Internet. Nonetheless, it is still an interesting watch. The examples are heavily UK-based, perhaps because there has been more innovation in the tech-community space on that side of the Atlantic. The School of Everything: a UK website where would-be teachers on any topic can meet locals who want to learn. It’s like a virtual Center for Adult Education. Couchsurfing: a website where travelers can find someone in another town who is willing to let them sleep on a couch (or maybe an extra bed). Wikipedia: known to almost everyone, but a demonstration that millions of volunteers can create something arguably as strong as a commercial encyclopedia, and certainly more vibrant and up-to-date. Mumsnet: an Internet-based community of moms where they exchange advice, concerns, and sometimes friendship. Linux: open-source software that is generally less bug-ridden, produced faster and better performing than commercial software like Microsoft. And the software is all written by thousands of volunteers over the Internet. Zopa: like an ebay bank, Zopa enables individual-to-individual loans. Individuals note what their loans are for, like “funding driving lessons” or “buying a cow.” Those wishing to lend can bid on what interest rate they’ll charge. And a lender can wind up getting funding from scores or hundreds of individual funders for a project. Slice The Pie: Musicians can upload their tracks and have them rated by “slice the pie” participants. The top rated bands get showcased and the best get 15,000 pounds to make a record from the participating individuals, who share in the record’s proceeds. Governance: examples range from a participatory budgeting experience in Morcambe, to TheyWorkForYou.com, to The Point, to the Canadian Green Party developing their platform online through a collaborative wiki. The film raises important points about the potential of the internet: in increasing transparency and participation, in “disintermediating” (putting more individuals on the front-lines of decision making), in its ability to reach great scale through organizations with a small number of employees, in how it might change our attitudes towards trust, or our willingness to contribute to the gift economy (where we ultimately can gain a lot by giving a little), and in how the Internet is spreading an expectation of participation which may be irreversible, regardless of whether this typically leads to better outcomes. The book gives one an account of life on the ground in Iraq during “Phase IV” that was about winning the “hearts and minds of Iraqis” through humanitarian assistance, reconstruction, and civil administration until the Iraqis could assume responsibility. Eberly notes that the media tagged this effort a failure, but says that few note how extraordinarily difficult this phase was . One colleague analogized it to “assembling a vehicle while driving.” There was so little to build on, and although the mantra was a light touch, Colin Powell, talking about Iraqi organizations, noted “you break it, you own it” (i.e., are responsible for fixing it). Eberly doesn’t discuss how little central planning went into this Phase initially among central war planners in the US, but he does highlight the key divisions and distrust between the State Department and the Department of Defense in the rebuilding of civil society. Eberly highlights a central challenge: “We could use our power to eliminate people, but we could not use that same power to dictate who would replace them…We claimed the right to remove past sports officials, even though, under the IOC, sports are supposed to be independent of government. However, we could not simply and arbitrarily put new people in place.” How could they insure that new crooks did not get themselves re-elected? They “assembled and circulated a list of respected Iraqis” to oversee this process, to give it a sense of legitimacy. Eberly notes that the “entire episode proved to be a remarkable early experiment in democracy for Iraq.” The book details the challenges to get even one woman on the committee, the challenges regarding the ethnic balance on the committee, and the threats to the legitimacy of the enterprise thrown up by Kurds. It makes you realize just how much we take for granted in civic engagement efforts in the U.S. (from infrastructure to build upon, to citizen initative, to some sense of social and governmental trust, to the rule of law). Eberly notes, for example, just how important the effort was to get US donors to contribute 80,000 soccer balls as an effort to build trust of the US-led civic redevelopers. See also this earlier post on efforts to rebuild civil society in Iraq (“Human Networks in Iraq Trump Technology” and “Tough to Centrally Manufacture Social Capital“). “The story gets to the heart of Vaillant’s angle on the Grant Study. His central question is not how much or how little trouble these men met, but rather precisely how—and to what effect—they responded to that trouble. His main interpretive lens has been the psychoanalytic metaphor of ‘adaptations,’ or unconscious responses to pain, conflict, or uncertainty. Formalized by Anna Freud on the basis of her father’s work, adaptations (also called ‘defense mechanisms’) are unconscious thoughts and behaviors that you could say either shape or distort—depending on whether you approve or disapprove—a person’s reality. “Vaillant explains defenses as the mental equivalent of a basic biological process. When we cut ourselves, for example, our blood clots—a swift and involuntary response that maintains homeostasis. Similarly, when we encounter a challenge large or small—a mother’s death or a broken shoelace—our defenses float us through the emotional swamp. And just as clotting can save us from bleeding to death—or plug a coronary artery and lead to a heart attack—defenses can spell our redemption or ruin. Vaillant’s taxonomy ranks defenses from worst to best, in four categories. “At the bottom of the pile are the unhealthiest, or psychotic, adaptations—like paranoia, hallucination, or megalomania—which, while they can serve to make reality tolerable for the person employing them, seem crazy to anyone else. One level up are the immature adaptations, which include acting out, passive aggression, hypochondria, projection, and fantasy. These aren’t as isolating as psychotic adaptations, but they impede intimacy. Neurotic defenses are common in ‘normal’ people. These include intellectualization (mutating the primal stuff of life into objects of formal thought); dissociation (intense, often brief, removal from one’s feelings); and repression, which, Vaillant says, can involve “seemingly inexplicable naïveté, memory lapse, or failure to acknowledge input from a selected sense organ.” The healthiest, or mature, adaptations include altruism, humor, anticipation (looking ahead and planning for future discomfort), suppression (a conscious decision to postpone attention to an impulse or conflict, to be addressed in good time), and sublimation (finding outlets for feelings, like putting aggression into sport, or lust into courtship). Relationships were the only thing that really matters: “It is social aptitude, not intellectual brilliance or parental social class, that leads to successful aging”, Vaillant said. Aside from an individual’s defenses, relationships at age 47 were the strongest predictor of late-life adjustment. 93 percent of those men who were happy at 65 had a close sibling when younger. Those who didn’t have close siblings found these connections in parents or uncles, or mentors or friends. Vaillant dismisses social determinism. Social ease predicted good psychosocial adjustment in college and early adulthood, but became less significant with time. And shy or anxious kids by age 70 were just as likely to be “happy-well” as outgoing kids by age 70. Besides relationships and mature defenses, the best predictors of thriving (physical and psychological) in senior years were “education, stable marriage, not smoking, not abusing alcohol, some exercise, and healthy weight”. If one had 5+ of these factors at age 50, half were happy-well by 80 and only 7.5% “sad-sick.” Conversely, no one with with three or fewer of these health factors at age 50, ended up happy-well at age 80, regardless of physical shape at age 50. Cholesterol levels at age 50 did not predict happy-wellness in old age. Being fit in college explained late-life mental health better than late-life physical health. Of the men diagnosed as depressed by age 50, over 70% were dead or chronically ill by 63. Pessimists aged far less well than optimists. Read the Atlantic article here by Joshua Wolf Shenk “What Makes Us Happy?“. Robert D. Putnam (Harvard) and David Campbell (Notre Dame) recently previewed selected themes from their forthcoming book American Grace at the May 2009 Pew Forum on Religion and Public Life that draws a select group of the leading journalists on religion in America. Putnam and Campbell’s analysis draws on the Faith Matters data they collected — a national, authoritative large-scale, hour-long survey on religion (beliefs, belonging and behavior), social and political engagement, and religious and political beliefs. They followed up in a very rare panel survey, reinterviewing the same respondents 6-9 months later to understand the stability of our religion and religious beliefs and to get traction on the issue of causation. Their research also entails a dozen to fifteen in-depth case studies of religious denominations and churches of many stripes across all parts of the nation. Young Americans are dropping out of religion at an alarming rate of 5-6 times the historic rate (30-40% have no religion today versus 5-10% a generation ago). But youth’s religious disaffection is largely due to discomfort with religiosity having been tied to conservative politics. Putnam and Campbell expect, given the remarkable history of American religious entrepreneurship (from Mormonism to revival meetings to megachurches), that this disaffection from religion is temporary: religious entrepreneurs will rise to offer these young Americans the less politicized religion that they crave. Americans today inherit both religion and congregation far less than their parents and grandparents did and there is remarkable religious fluidity, with between 1/3 and 1/2 of all Americans changing religion from the one they were born into. [The lower bound does not count a denominational shift like that from Methodists to Calvinists as a switch and only counts a change in religion from Judaism to Buddhism or from Baptist to no-religion.] And there has been remarkably more entrepreneurial sorting of congregations and congregation shopping with congregants finding a religious home within a denomination that maximally meets their wants and needs (sometimes through stricter “churches”, sometimes through looser ones). There is a remarkable degree of religious bridging in our social networks: approximately 70% of Americans have at least some extended family of a different religion than they are, and this rises to 75% for closest friends, and 85% of Americans who live among at least some neighbors of a different religion. The interlinkage of these religious networks helps to constrain any message of intolerance that parishioners get from the pulpit. Religious Americans are better citizens than non-religious ones (they give more to secular causes, volunteer more for secular causes, and join more, to mention a few markers of good citizenship). However, it is not their particular theology that predicts good citizenship, but the extent to which they are embedded in a friendship network of religious others (regardless of their religion). [Putnam refers to these religious friends as “powerful, supercharged friends.”] So it is religious social networks, not teachings from the pulpit that are key to them being 3-4 times more generous than the most secular Americans. American Grace will come out in October 2010. “This retreating tide of religion affected nearly every denomination equally — except that it was less severe among evangelicals. While not dramatically increasing their percentage of the American population, evangelicals did increase their percentage among the religious in America. According to Putnam, religious “entrepreneurs” such as Jerry Falwell organized and channeled the conservative religious reaction against the 1960s into the religious right — the first aftershock. “But this reaction provoked a reaction — the second aftershock. The politicization of religion by the religious right, argues Putnam, caused many young people in the 1990s to turn against religion itself, adopting the attitude: “If this is religion, I’m not interested.” The social views of this younger cohort are not entirely predictable — both the pro-life and the homosexual-rights movement have made gains. But Americans now in their 20s are much more secular than the baby boomers were at the same stage of life. About 30 percent or 35 percent are religiously unaffiliated…. Putnam calls this “a stunning development.” As many liberals suspected, the religious right was not good for religion. David Brooks in his Op-Ed today describes how Republicans have tilted toward freedom and rights at the expense of community. He notes Republicans’ love of Western culture and uses as a didactic icon director-great John Ford’s 1946 Western, My Darling Clementine, in which…”Henry Fonda plays Wyatt Earp, the marshal who tamed Tombstone. But the movie isn’t really about the gunfight and the lone bravery of a heroic man. It’s about how decent people build a town. Much of the movie is about how the townsfolk put up a church, hire a teacher, enjoy Shakespeare, get a surgeon and work to improve their manners. “The movie, in other words, is really about religion, education, science, culture, etiquette and rule of law — the pillars of community. In Ford’s movie, as in real life, the story of Western settlement is the story of community-building. Instead of celebrating untrammeled freedom and the lone pioneer, Ford’s movies dwell affectionately on the social customs that Americans cherish — the gatherings at the local barbershop and the church social, the gossip with the cop and the bartender and the hotel clerk. “Today, if Republicans had learned the right lessons from…John Ford Westerns, they would not be the party of untrammeled freedom and maximum individual choice. They would once again be the party of community and civic order. The last point dovetails well with consensus that emerged from a recent meeting we convened of some of the leading minds from academia, think tanks and philanthropy about “Increasing Opportunity in an Age of Inequality”. Read the rest of Brooks’ editorial (“The Long Voyage Home“) about how this has cut off Republicans from the civicly-minded youth and cities (where people realize that they need to cooperate), at the peril of the party. It reminds one of just how deeply the vision of “compassionate conservatism” has faded. In the very early days of the GW Bush Administration it seemed like there was a there there, but by the end had crumbled into extremely hollow rhetoric.